It is indeed demeaning that this hallowed African judiciary- ECOWAS Court has in several occasions summersaulted nakedly in the discharge of their legal mandate. Why did I say so? I am making this bold assertions with reference to the lawsuit filed by the leader of the Indigenous People Of Biafra, Nnamdi Kanu. The repugnant, shameless and lukewarm attitude of ECOWAS Court in administering or seeing that justice is served to the plaintiff is nothing to write home about. This is a clear case that bothers on human right violation and that doesn't even need to go through any rigorous legal jamboree in order to serve Justice. The question that is still begging for an answer is; why should ECOWAS Court embark on what I call unnecessary, undemocratic and marathon adjournment without any substantial alibi? Are they afraid of Nigeria because of moral compromise? Probably, one can hypothetically draw this glaring conclusion that ECOWAS Court has been compromised and infiltrated by some unseen hands who are chronically bent on subverting the due process. This, no doubt has compelled the relegation of the moral legal decency to the dustbin in the administration of Justice. Notwithstanding, it is sheer acceptance of defeat and fear on the part of ECOWAS Court to have allowed the lawsuit filed by Nnamdi Kanu over the abuse of his God given right by the Nigerian government to linger longer than necessary. This is rather a serious stain and a big slap on the face of ECOWAS Court charged with the enormous task of protecting the rights of the downtrodden in African societies and also checkmating the amorous actions of political leaders. It is a pure manifestation of lack of legal and political will to rid Africa of all forms of dictatorial idiosyncrasies. Citizen Nnamdi Kanu has not committed any known offence. All charges levelled against him are frivolous and concocted out of the overzealousness of Buhari and his co travellers. You know, if you want to kill a dog, you can give it any bad name just to get rid of it. Nnamdi Kanu was merely exercising his God given freedom of speech through Radio Biafra that speaks in defence of the rights of the Indigenous People Of Biafra. What he is agitating for is affirmatively captured in the ARTICLE 3 OF UNITED NATIONS which boldly state that "Indigenous People have the right to self-determination. By virtue of that right they freely determine their political status and freely pursue the economic, social and cultural development". This assertion made by UNITED NATIONS was outrightly domesticated in the 1999 constitution of Nigeria and therefore, expressly legitimizing the call for Biafra restoration. There is this general saying that says, " Justice delayed is Justice denied". However, It is a total failure on the part of ECOWAS Court to be involved in this wicked web of adjournment. Instead of lending their strong voice in defence of human rights rather, they are shabbily playing to the gallery while political impunity increases on daily basis. Furthermore, 18th of MAY, 2017 will be another compelling litmus test for ECOWAS Court. This hallowed court must redeem its questionable image that is seriously nosediving into abyss. The court must reassure and set a resounding judicial precedence that will send a strong warning to every tyrannical government hibernating within the political space of Africa. It will be a victory for tyranny if ECOWAS Court fails to uphold Justice in Nnamdi Kanu's case against the Nigerian government. The court should as a matter of justice and posterity display a rare legal precedence that will reverberate and restore the trust and faith Africans reposed in them and the world at large. 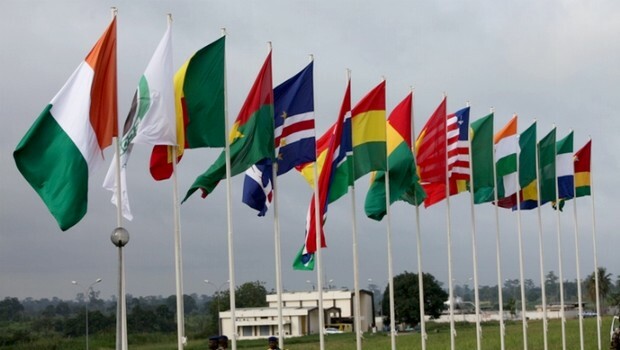 This will bring to the fore that ECOWAS Court, a strong regional court cannot be cowed into any form of submission that will undermine the call and protection of human rights.